LWPS XIV Satellites begin tonight, exclusively on Pokerstars! 1 Seat Guaranteed as always. Look under Tourney/Regional in your Stars client to locate the satellite, or search for tourney ID: 589355470 on your Pokerstars mobile app! Satellites run every Tuesday, Thursday and Sunday, at 10pm (GMT + 8). 1 Seat is GUARANTEED everytime. See you at the tables! Congrats to kakis chaky8226 and KayCz for winning the LWPS XIV Main Event seats. Congrats to kaki bomberman339 for winning the LWPS XIV Main Event seat. Congrats to kakis dadzzky and feeluck79 for winning the LWPS XIV Main Event seats. Congrats to kaki jonasjive for winning the LWPS XIV Main Event seat. Congrats to kakis LeoKezoJr & wreiza for winning the LWPS XIV Main Event seats. Congrats to kaki Normaniter for winning the LWPS XIV Main Event seat. Just realised LWPS XIV crashes with MPCC. So the pokerkaki team not going to MPCC ? Congrats to kakis DeepAnarchy & leondna for winning the LWPS XIV Main Event seats. Hi DM, how do i claim my seat, as in how do i provide like identification and stuff? sorry first timer to lwps! On the day of the event, go to treasure cove (lvl 7). Identify urself and give ur NRIC number to the counter. DM should be there to help you register. Rite DM? 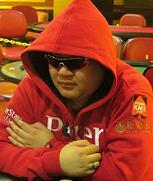 Congrats to kaki aikawa87 for winning the LWPS XIV Main Event seat. Congrats to kakis ckgyow & philz3ro for winning the LWPS XIV Main Event seats.